Whether it be for a private mineral pool or a great accommodating place to stop in with your kids during your travels, Bennetts Motor Inn is the place to stay. Tauranga sits right on the water's edge and is well-known for its blue skies, warm climate, sparkling harbour and relaxed lifestyle. Tauranga has many tourist attractions and travel activities with something to suit all ages, tastes and budgets. Explore the great outdoors and choose from lots of fun and exhilarating activities. Bennetts Thermal Motor Inn provides comfortable and affordable motel accommodation in a central Tauranga location. As our name suggests we have thermally heated private mineral pools in each motel unit. From the bedrooms, sliding doors lead out to an enclosed courtyard where your own private mineral pool awaits you. Soak away your busy day or splash around for fun and relaxation. 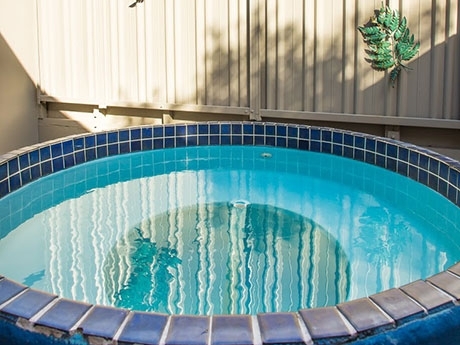 Bennetts Thermal Motor Inn is one of few motel choices in Tauranga that provide unique private thermally heated pools. PLEASE NOTE OUR MAIN SWIMMING POOL WILL BE CLOSED FROM SUNDAY DEC 11TH TO SATURDAY 17 DEC FOR MAINTENANCE. ALL OTHER POOLS STILL IN OPERATION. APOLOGIES FOR ANY INCONVENIENCE. The Tauranga business district and Mount Maunganui beach are both a short drive from our motel. If you are travelling on business there is a conference room available for hire. 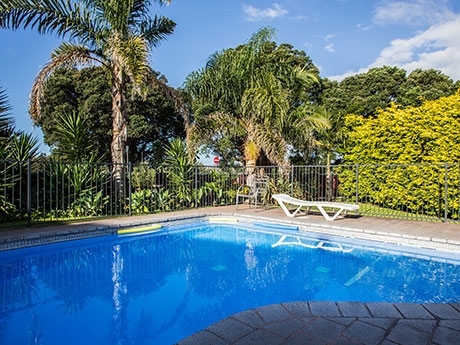 Our Kiwi owned and operated Tauranga motel has a range of accommodation options, whether you're a travelling sales rep in Tauranga for business, or on a family holiday. Tauranga is a popular destination for shopping, visiting the beach and a vibrant business district. Tauranga is in the heart of the Bay of Plenty so is a good location if you're exploring the region. Make Bennetts Thermal Motor Inn the first choice for your motel stay in Tauranga.